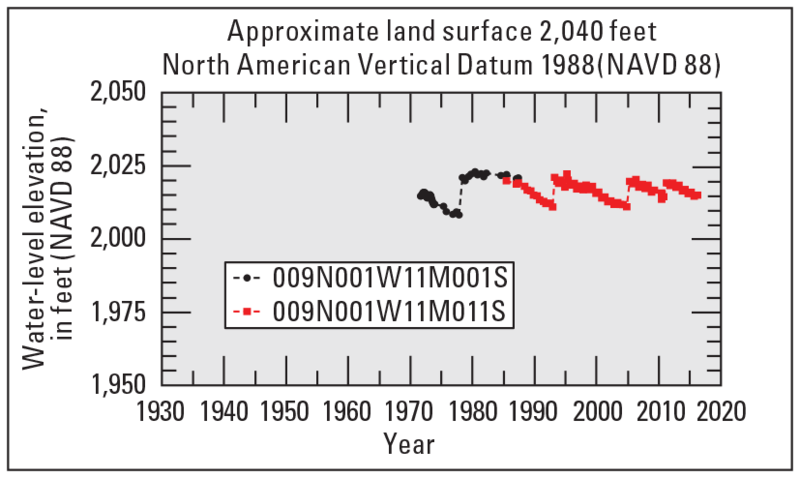 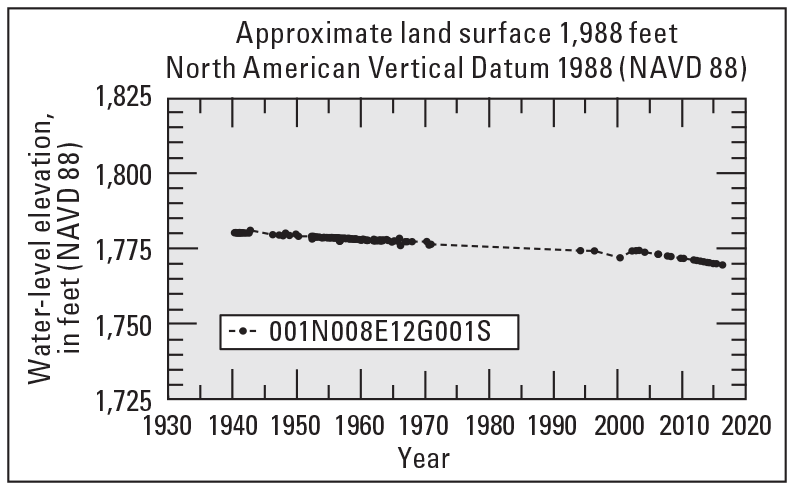 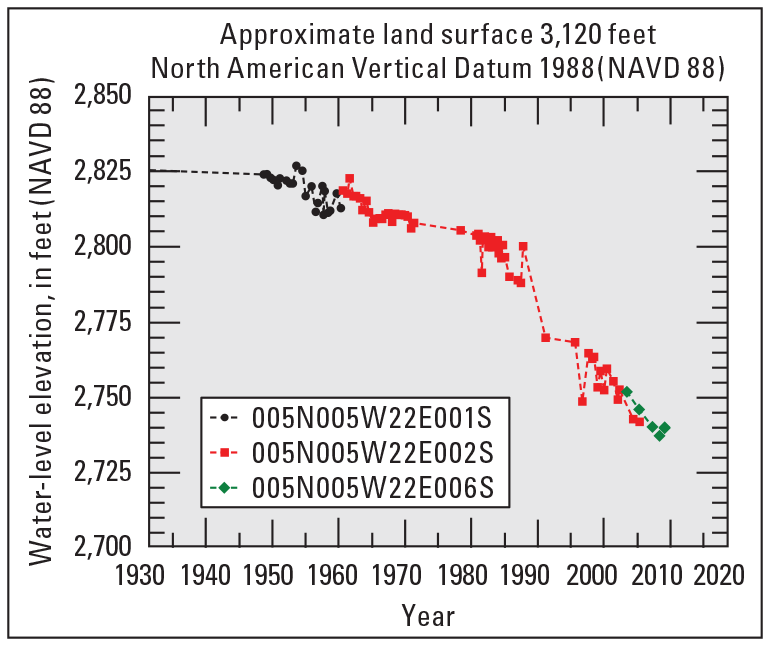 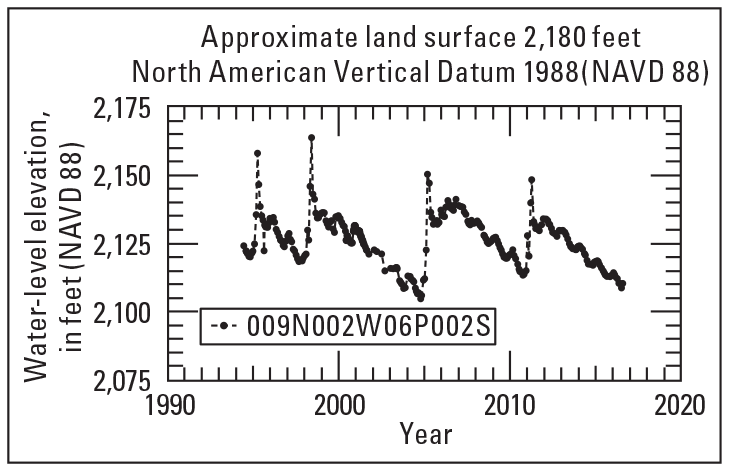 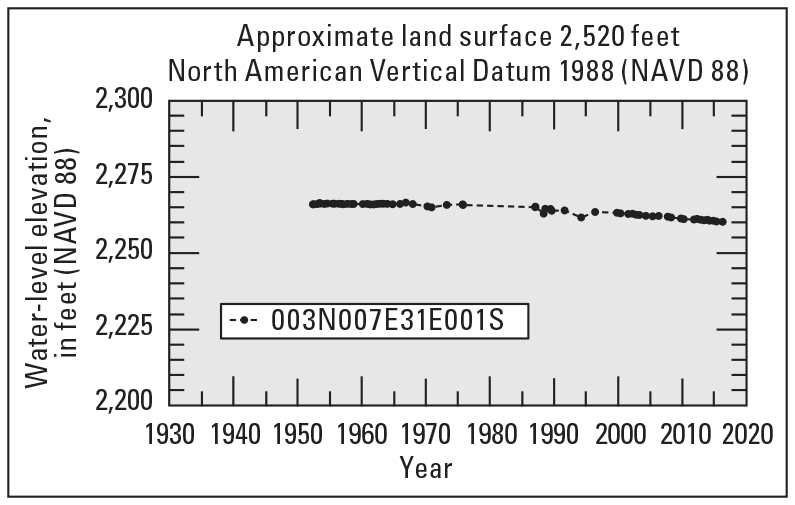 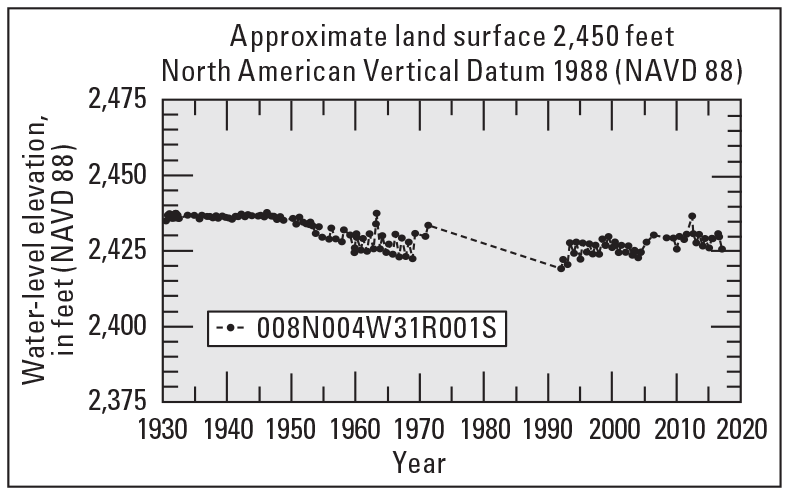 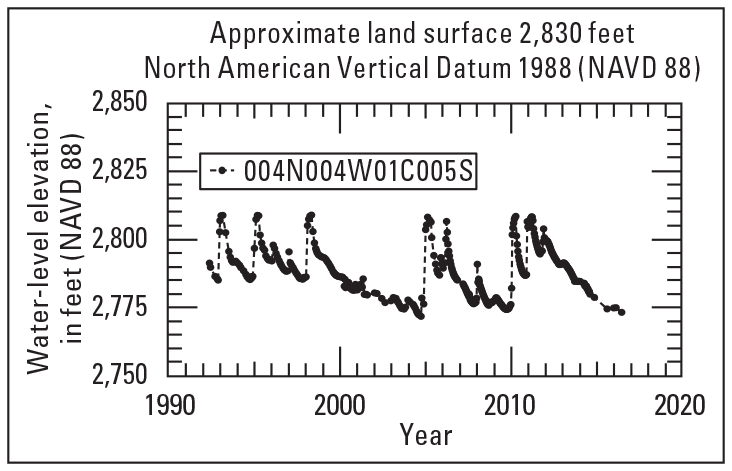 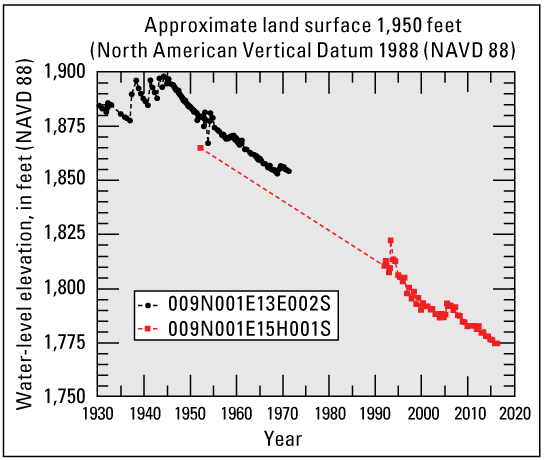 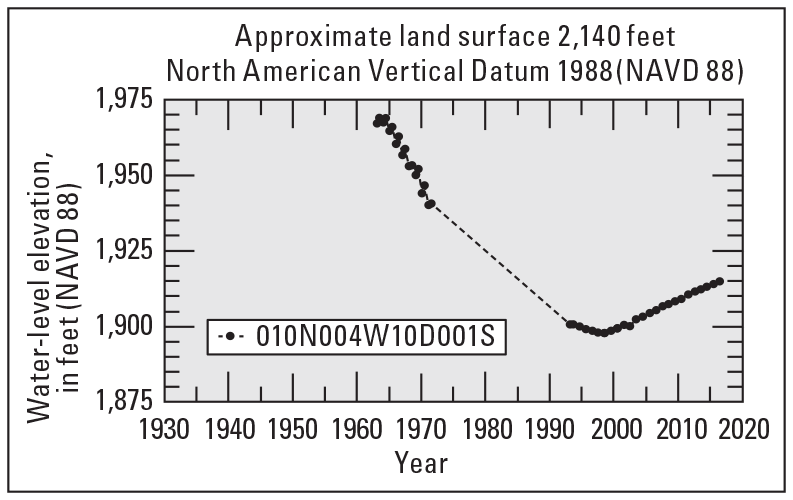 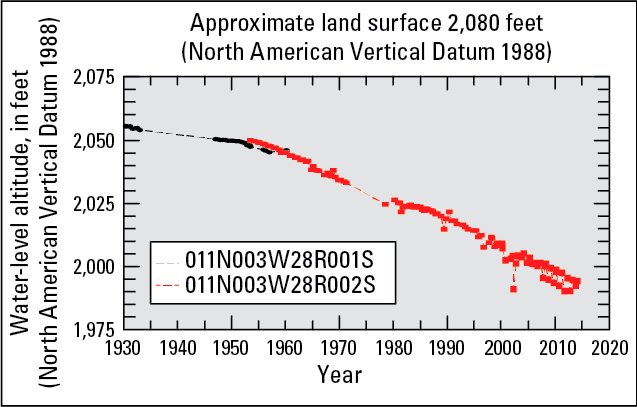 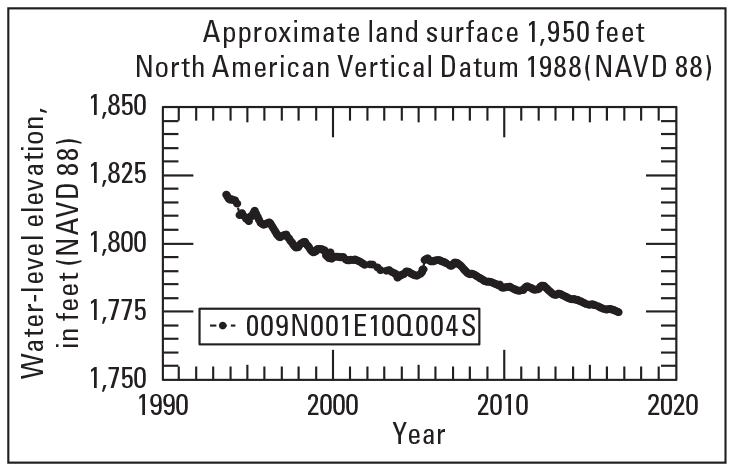 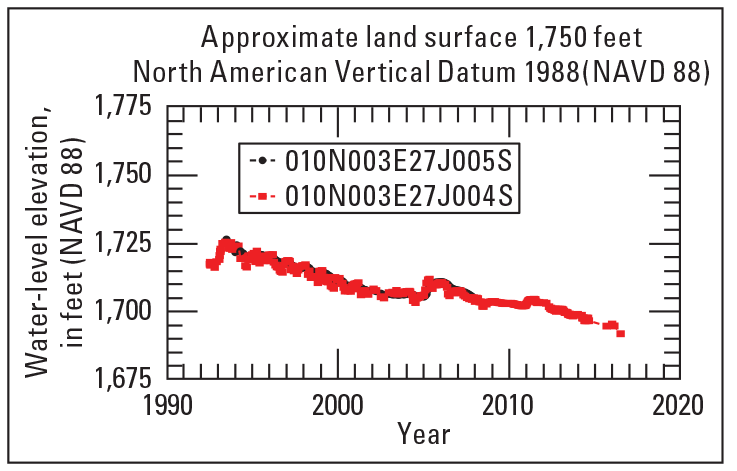 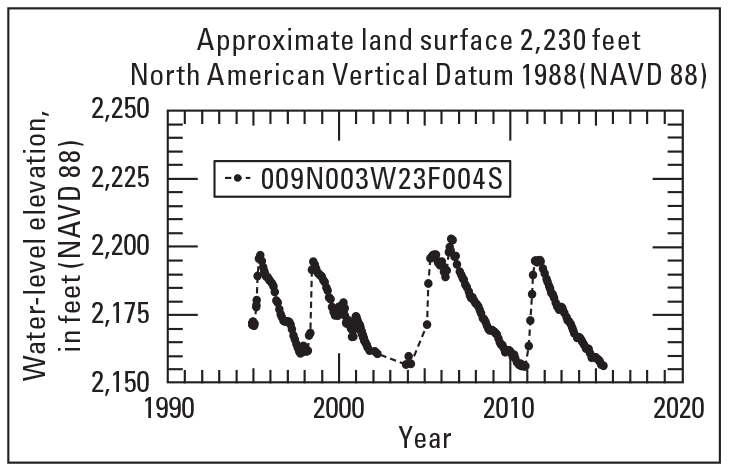 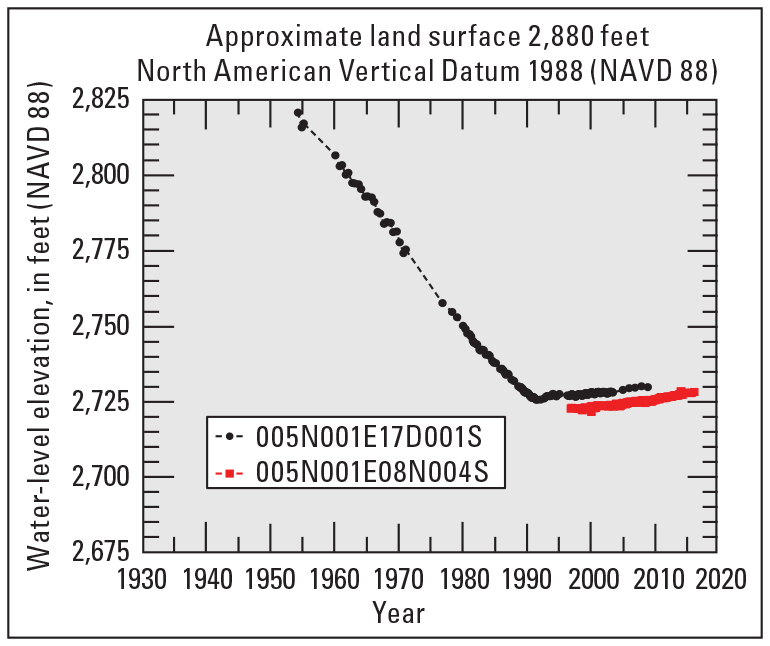 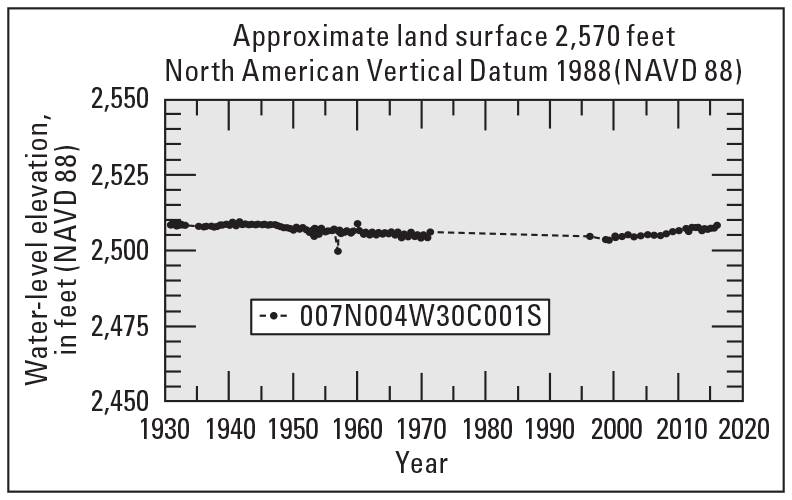 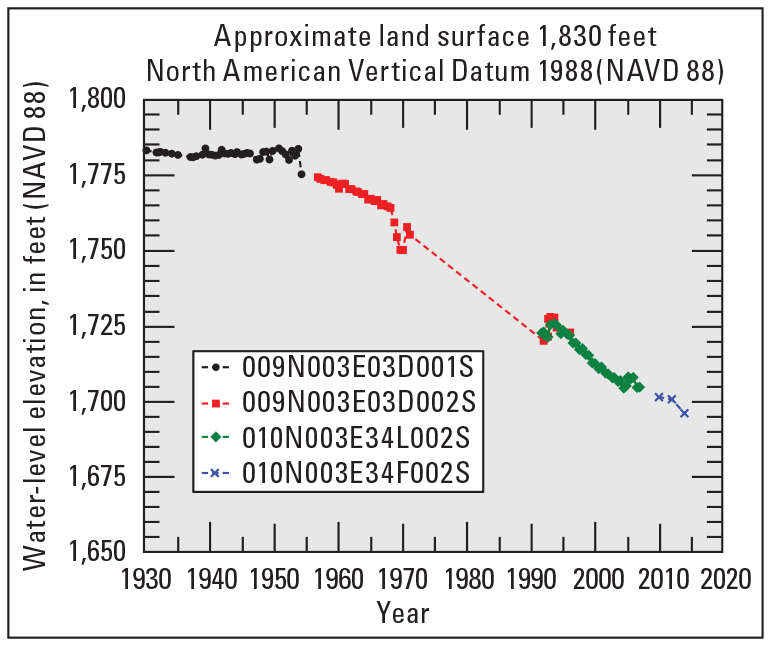 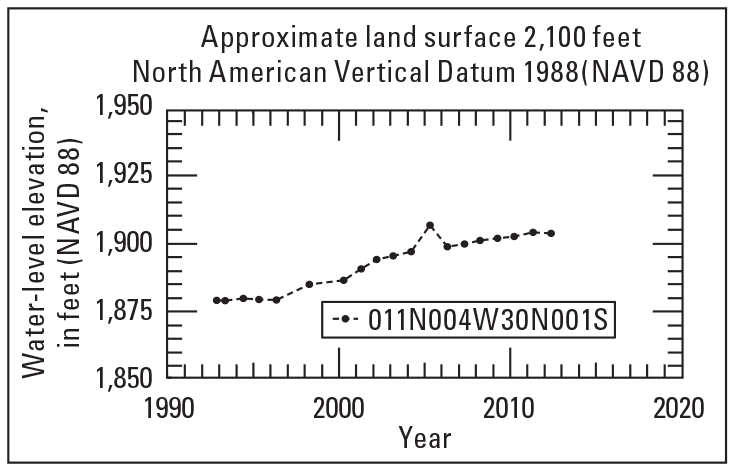 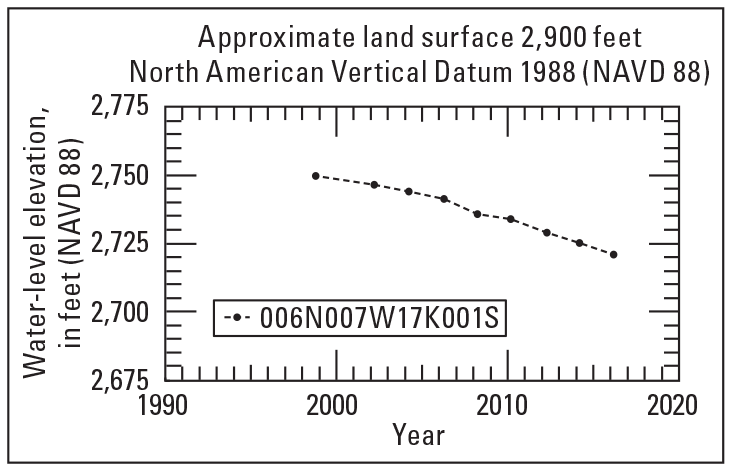 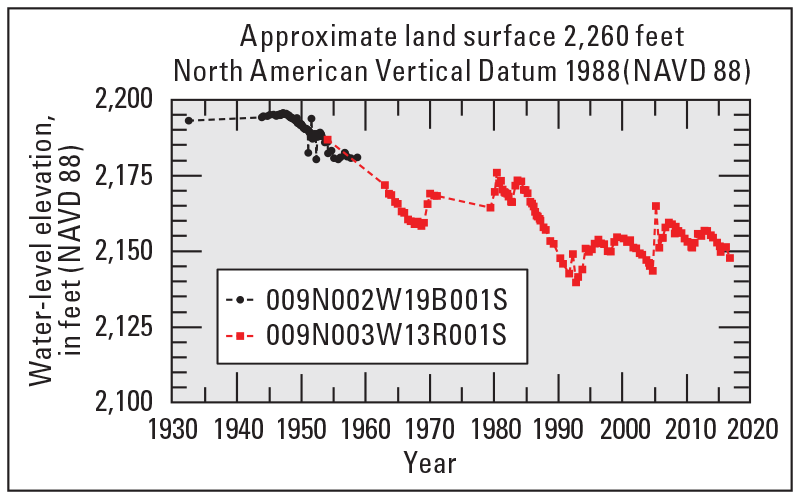 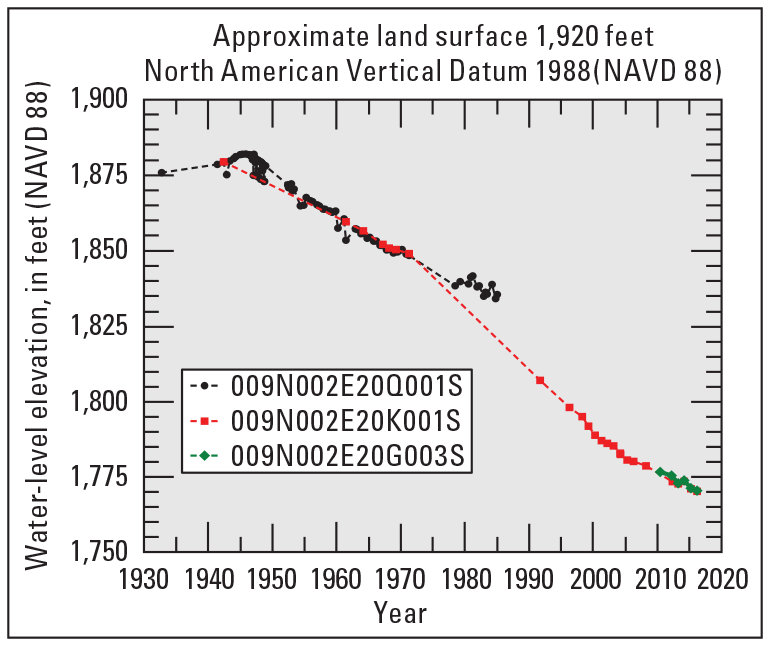 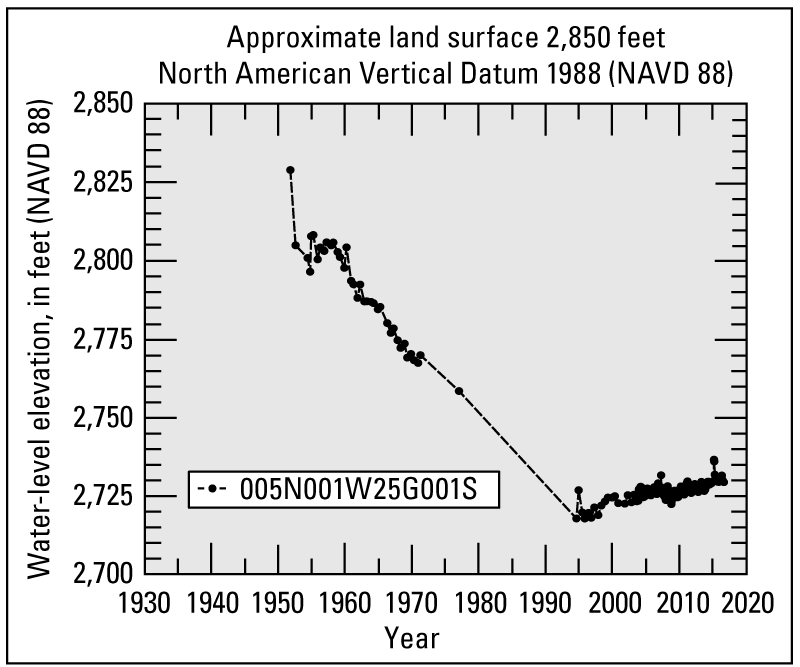 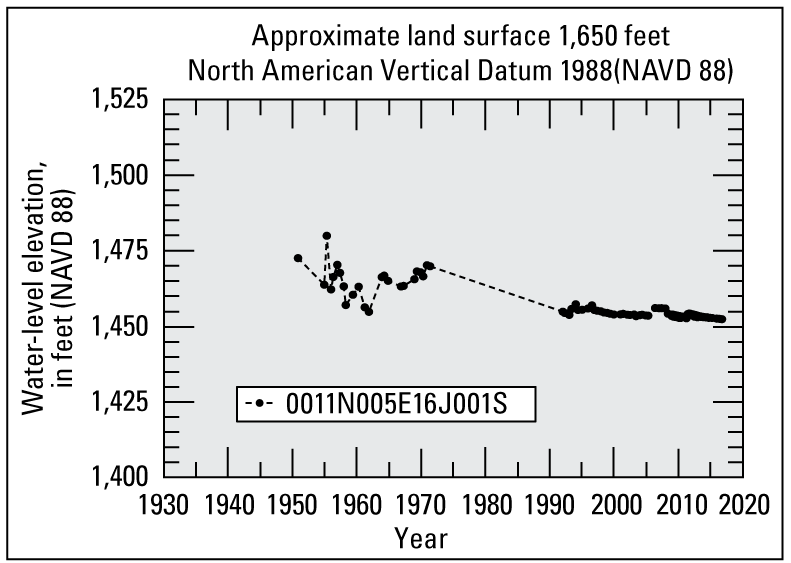 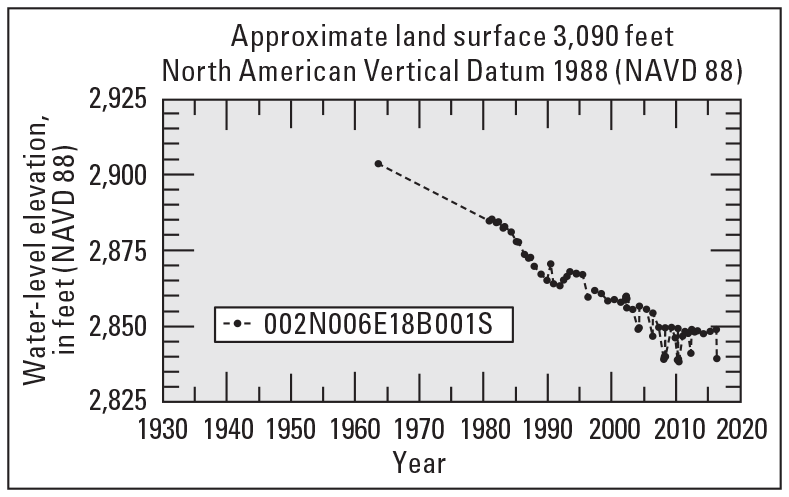 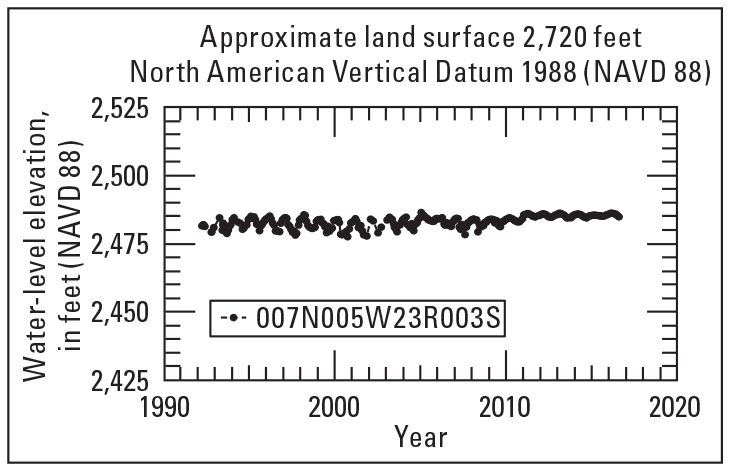 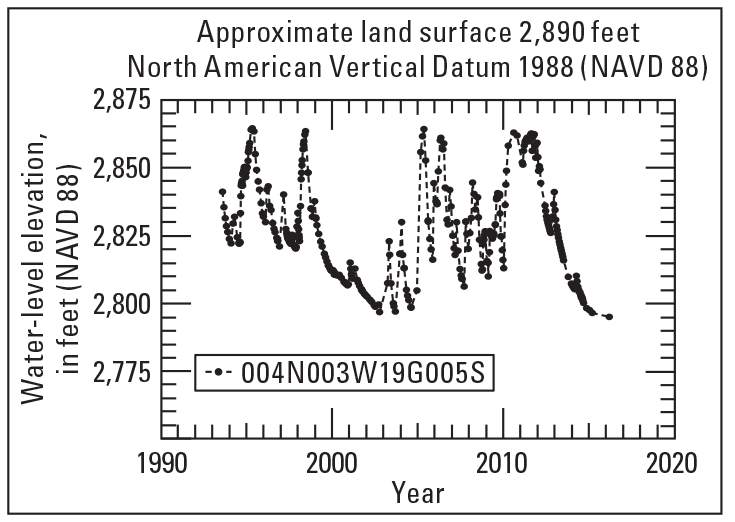 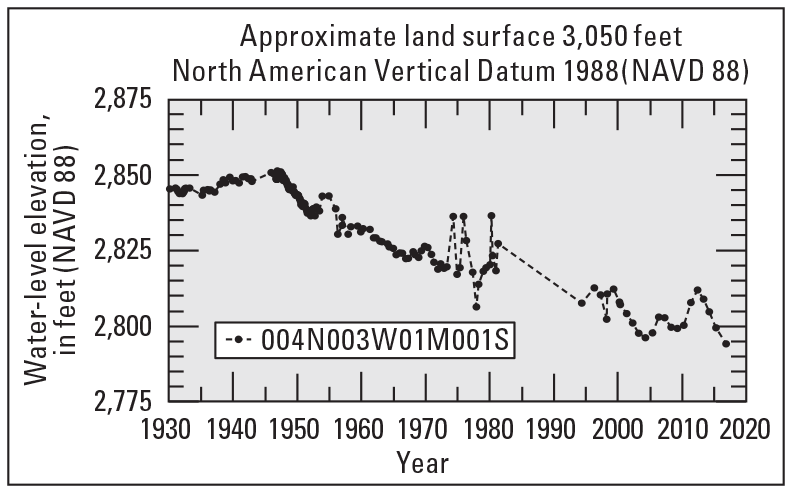 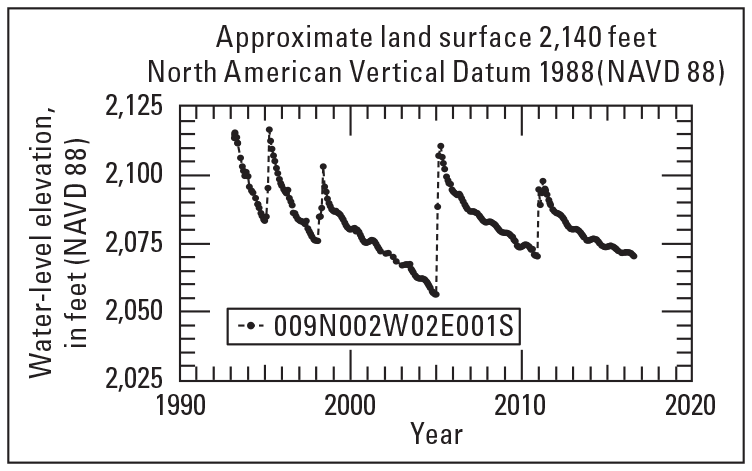 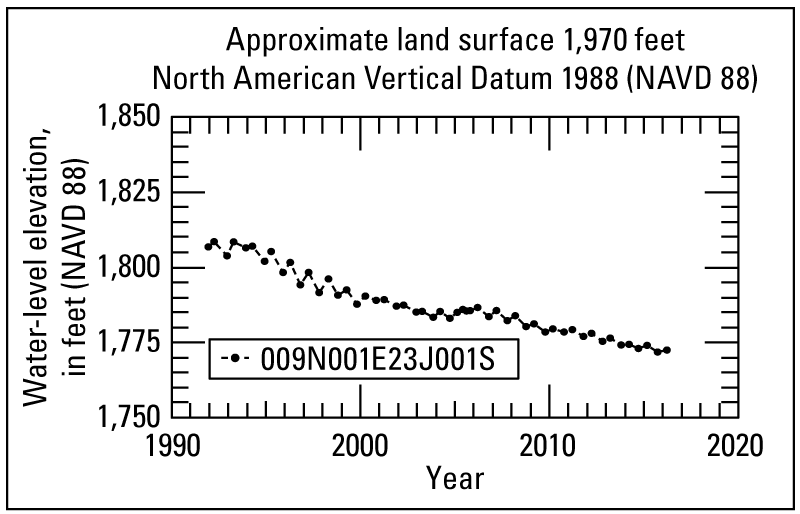 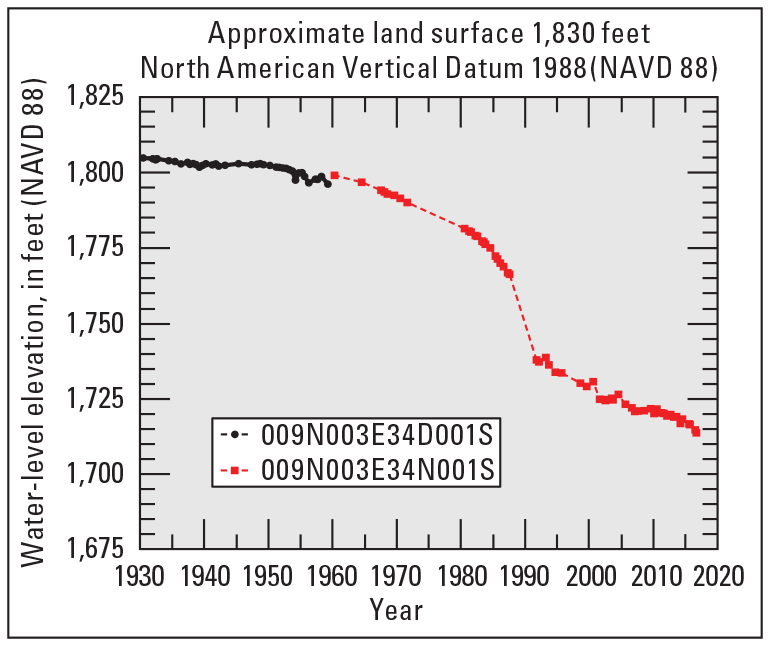 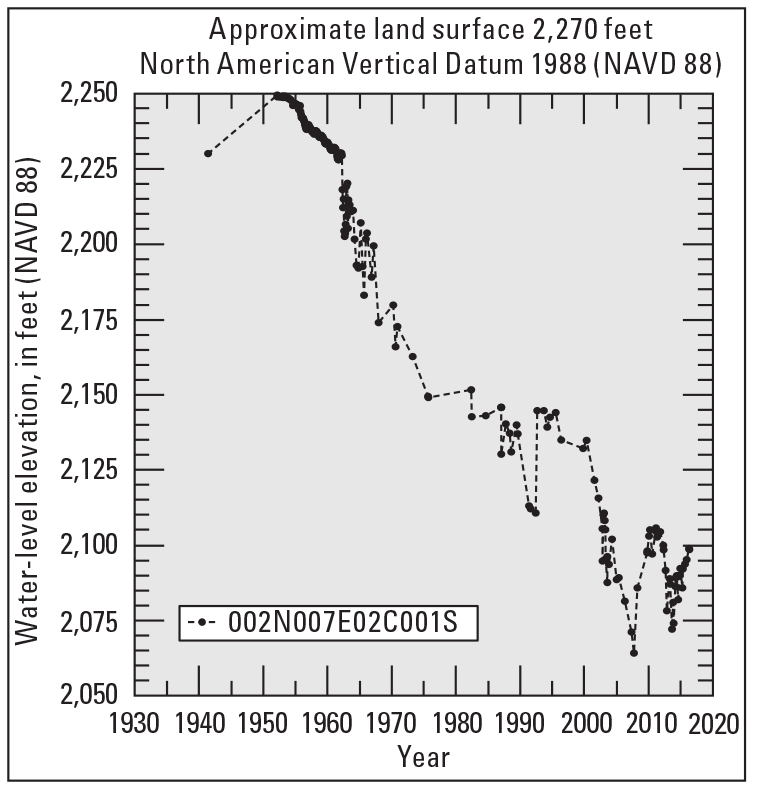 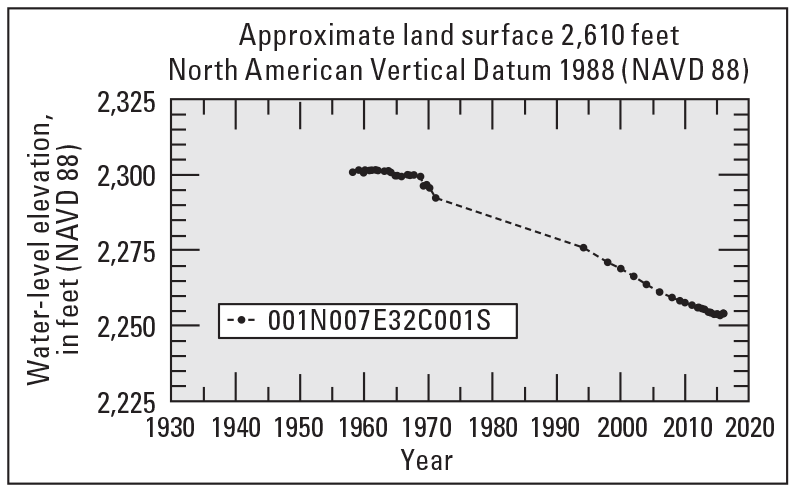 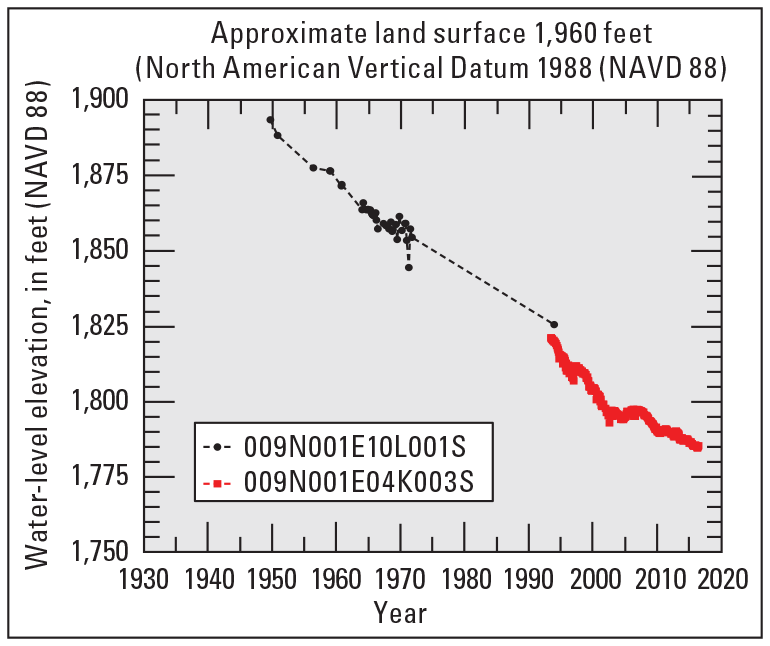 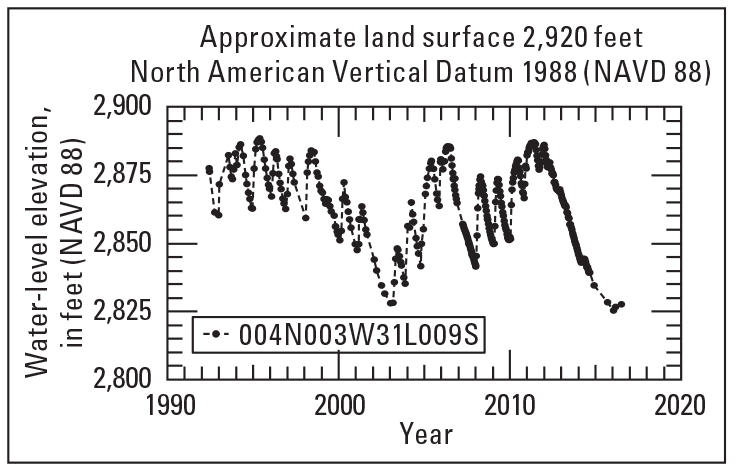 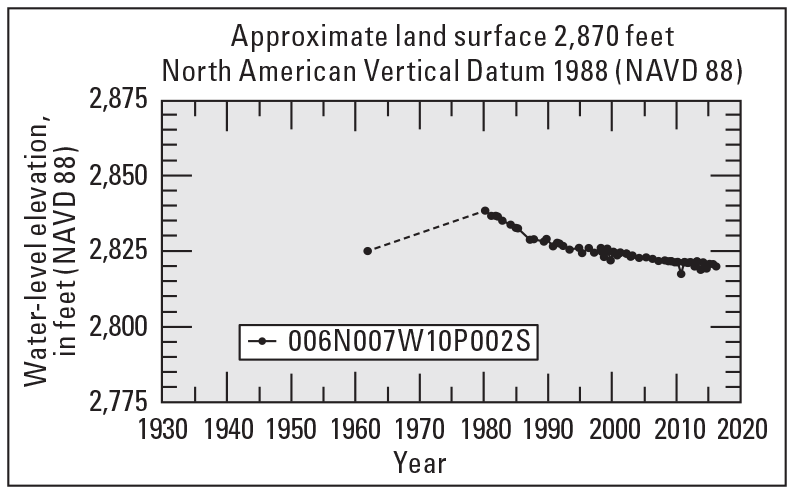 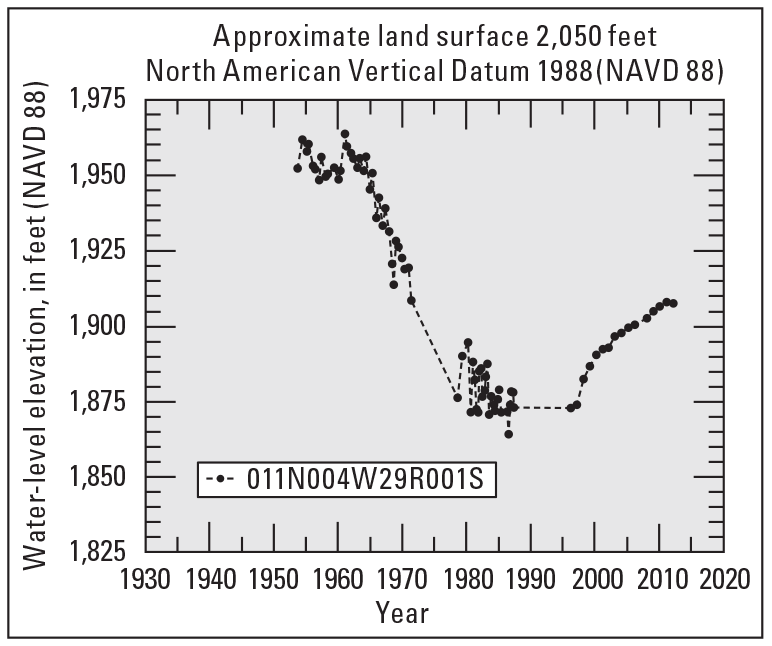 A hydrograph shows a period of record for a well. 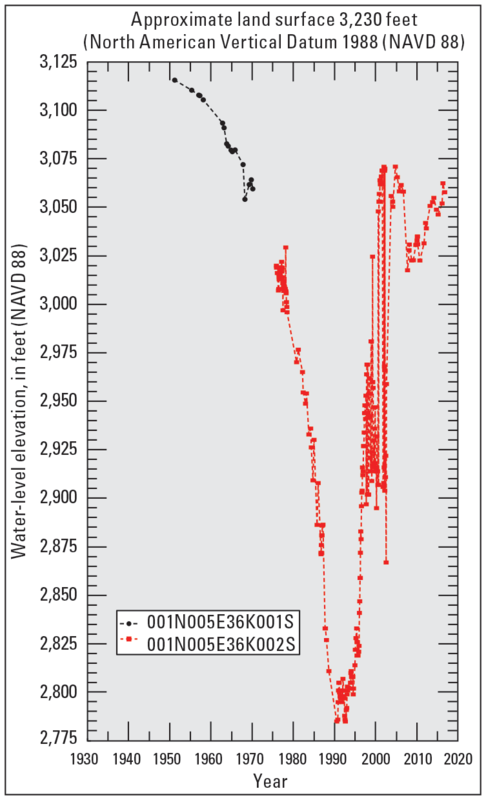 Symbols indicate actual data values from the USGS National Water Information System (NWIS). 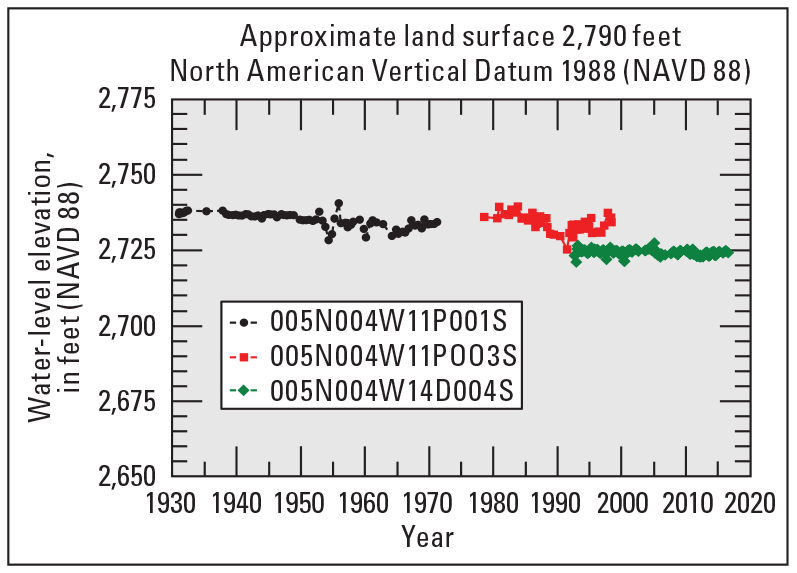 Multiple colors indicate two or more wells used for historical tracking of water levels.